Greetings! We hope our April newsletter finds you and your family in good health. Our tenth grade students just completed the ELA portion of the MCAS. I have no doubt they put forth their best efforts on this assessment. Thank you to all parents/guardians who ensured their child/ren were prepared for the testing sessions. We have continued testing in April, May and June (SCHEDULE). The Variety Show was again a huge success! The talents our students displayed were truly amazing. It was really special to see these young adults perform and share their artistic skills in a public forum. I want to thank all of the students who performed and supported the variety show. A special thank you to Mr. Duncan and Mr. Morris for their efforts with this event. I want to thank ALL who made the Smith Sessions a success. We are hoping this event serves as a foundation to create something larger and more comprehensive. If you were unable to attend, we have created a folder that contains the presentations/information from our evening. We have most of the presentations uploaded, but are waiting on a few...we will upload them as they are submitted. You can find the presentations HERE. The 145th Declamations is scheduled for Wednesday, April 11 starting at 7 pm (Frank E. Abarno Library). The finalists for that evening will be selected from the junior class on Tuesday, April 10 during the school-based portion of this event. Thank you in advance to Mr. Duncan, the judges, and the Hatfield Book Club for their involvement with this event. In addition, I want to extend a thank you to the Hatfield Book Club for their generosity and support in hosting their Annual Teachers' Reception! Our theater production is fast approaching! Our students and the production team have dedicated countless hours of their time in preparing for this event. We encourage everyone to show their support for this amazing show. 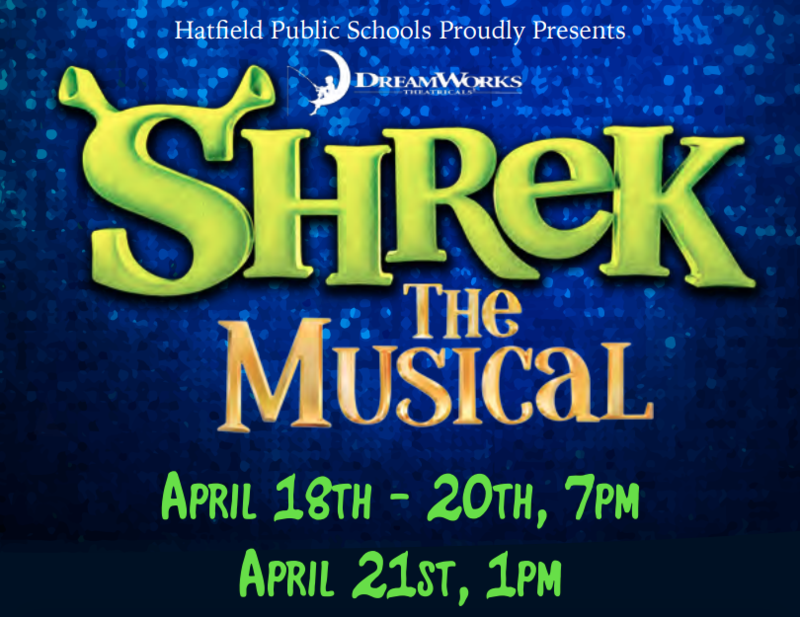 A special thank you to the Hatfield Education Foundation and the community members who support our production. The evening showings are scheduled for Wed. 4/18 (7 pm), Thur. 4/19 (7 pm), and Fri. 4/20 (7 pm). We will also offer a matinee on Saturday, April 21 starting at 1 pm. The production will be at Hatfield Elementary School. Please find additional Shrek information HERE. Our Cradles to Crayons (C2C) clothing drive has really built momentum. Our student leader, Maisy Dyer, has placed a Project 351 donation box in our front lobby. The drive will end on Friday, April 6. We are asking for any new or gently used children’s clothing that you are willing to donate. Specifically, we are looking for clothes for children from newborn to age 12. Please see Maisy's info. flyer HERE. We are in process of filling several anticipated faculty openings at Smith Academy. We have a few retirements and one new position to fill. We are confident all positions will be filled with the best possible candidates. As with any new hire, all available information is gathered and processed by an interview committee with the intention of hiring only the best for our students. 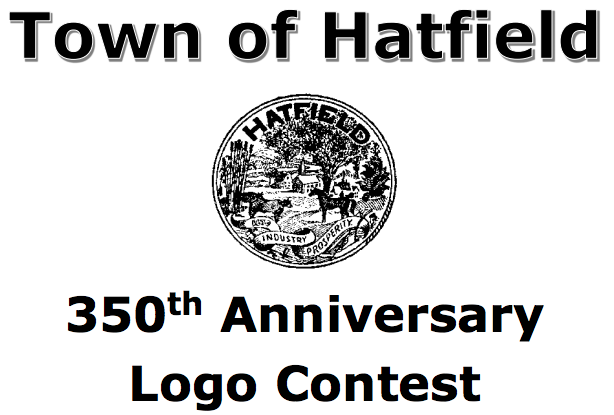 As Hatfield approaches its 350th birthday, we are excited to be involved with the festivities. At this moment, the committee is looking to create a logo. Those interested are encouraged to partake in the logo contest. You can find more information HERE (the deadline has been extended). Grade 8 parents/guardians, please make medication arrangements for upcoming D.C. trip as soon as you are able. We cannot accept medications unless you submit accordingly. More information can be found HERE.